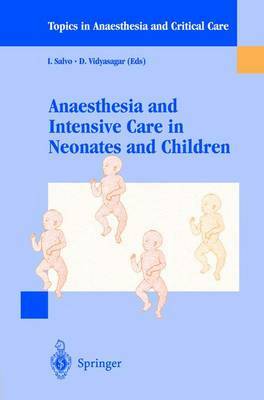 The anesthesia and intensive care in infants and children have assumed positions of primary importance in contemporary medicine. In these delicate sectors of medicine, clinical research activities must be continually supported by interdisciplinary collaborations. Neonatal and pediatric intensive care requires that all involved physicians, including the surgeon and anesthesiologist, be willing to work together as a team. However, coordination of the various pathophysiological and clinical aspects of neonatal and pediatric critical medicine is highly complex. A complete and current review of the anaethesia and intensive care of infants and children must include discussions of morbidity rates, so as to guide the clincians in choosing the diagnostic approach, as well as of monotoring techniques appropriate to support the therapeutic decision. Recent progress in intensive care medicine for infants and children has been significant.